And here’s a little guide on how to make one… Thanks to Marianne Skjelstad for the great idea. 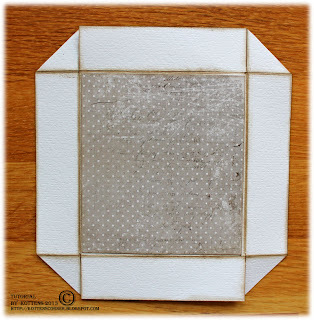 Patterned papers acc to text below. Fold the base by 4 7/8″. 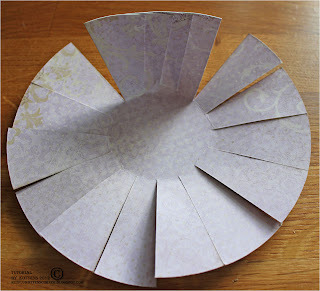 Turn it around and fold it again. 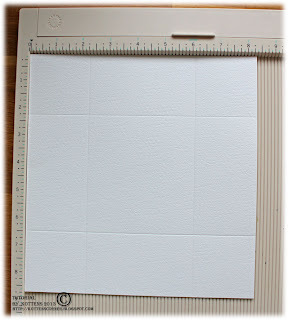 Use a Punch Around The Page set to create the border and ink the edges on both sides of the paper. 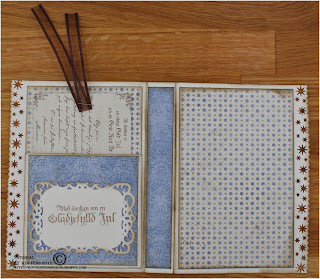 I have used a Martha Stewart set called Cherish and inked the border with Distress Ink Pumice Stone and Walnut Stain. 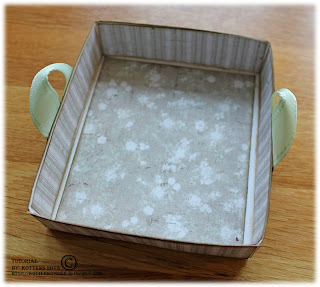 Add patterned papers to the base. 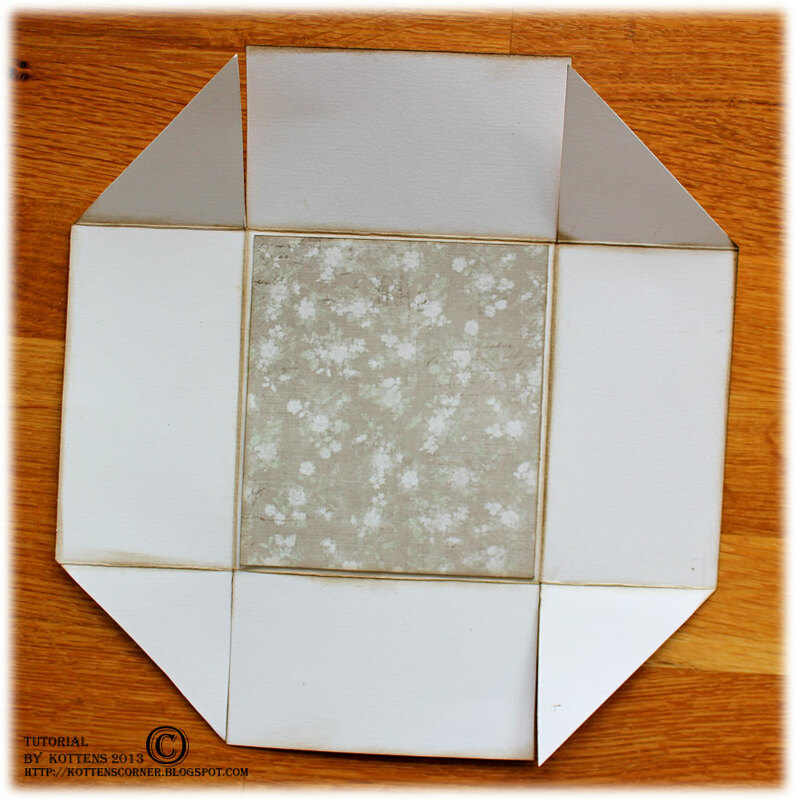 Start with the largest (8 3/8″ x 8 3/4″) and fold it by 2 1/4″ on all sides. 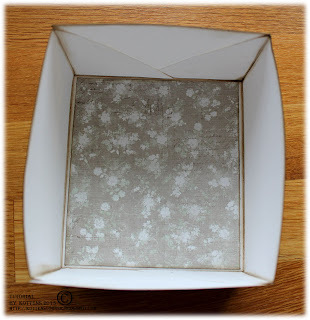 Cut out patterned paper in size 3 5/8″ x 4 1/8″, ink the edges and glue it to the bottom of your box. 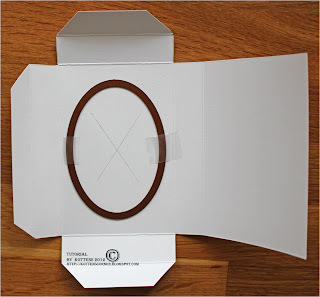 Then glue the flaps and fold the box together. 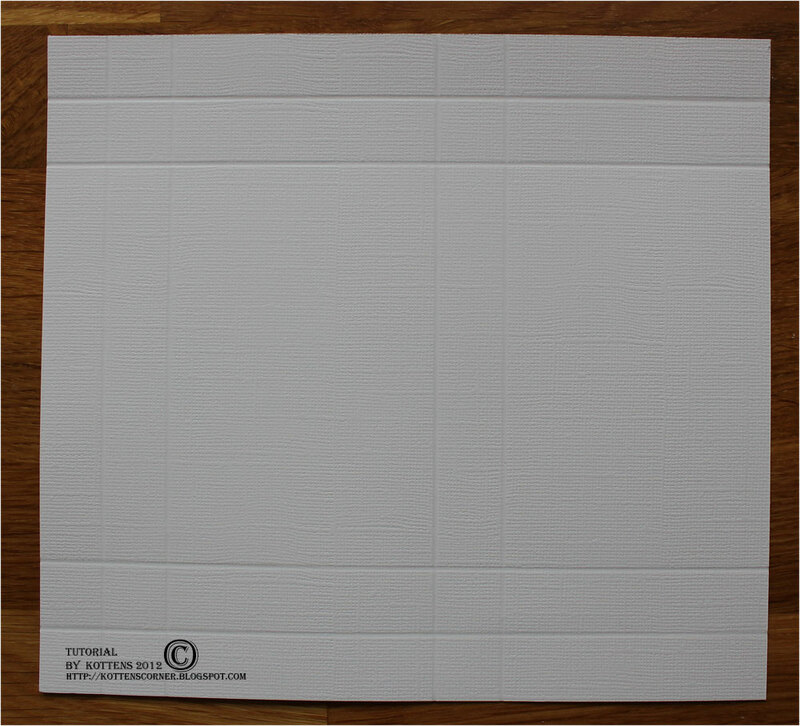 The thicker paper you use the sturdier the box will be. 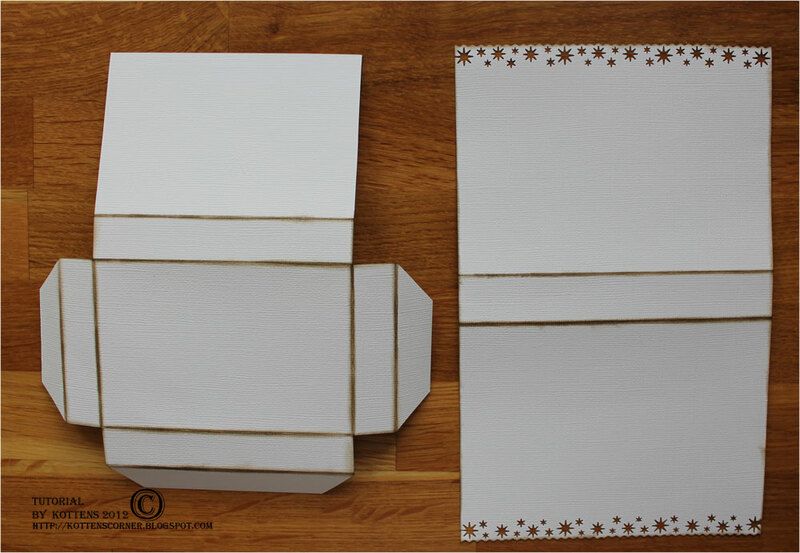 These boxes are both made with Maja Design papers that are as far as I know the thickest papers on the market. 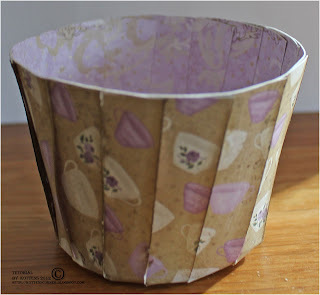 Cut out patterned papers to cover the flaps, ink them and glue them into place. 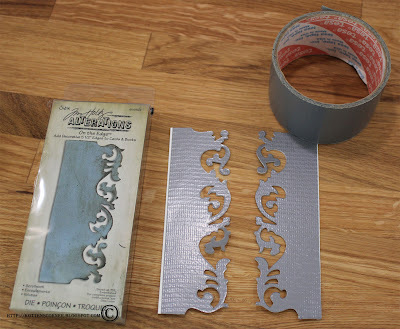 Then cut out patterned papers for the remaining walls. Ink them and glue them into place. 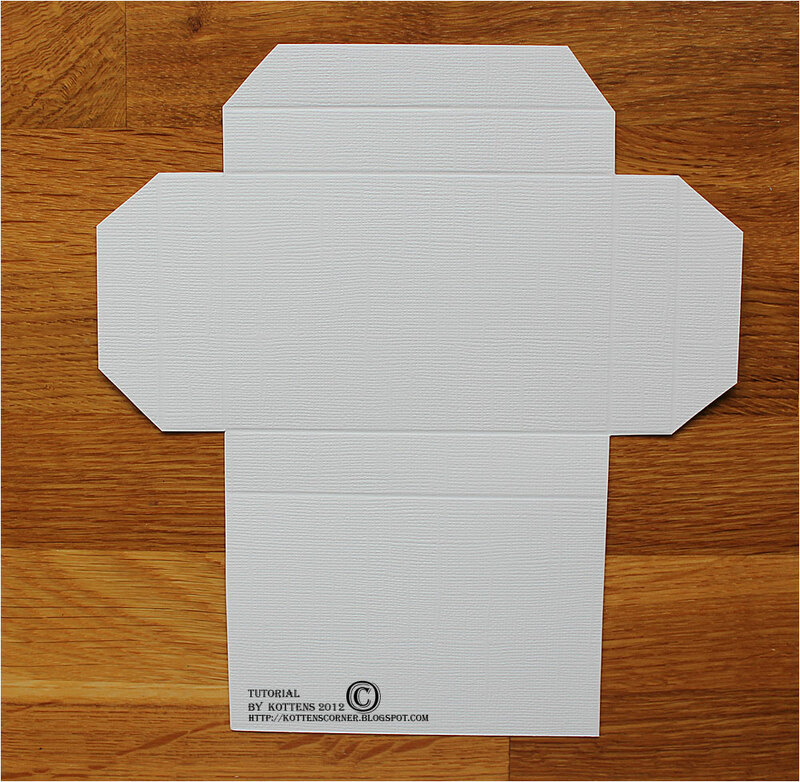 Also add the third piece of the smaller paper on the outside of the visible part of the box. If you use very thick high quality patterned paper you can use it for the inner walls. Or you can use lighter papers double. 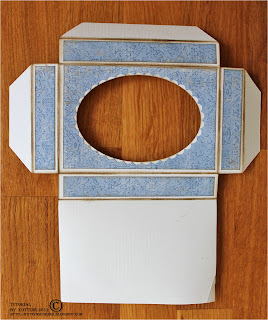 Otherwise you need to cut out cardstock for the inner walls. 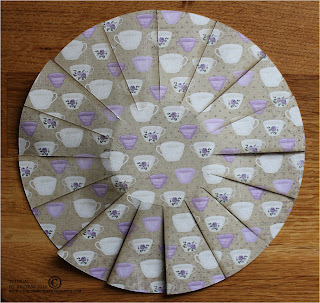 Fold the 5 1/4″ piece by 0.5″ from each side. 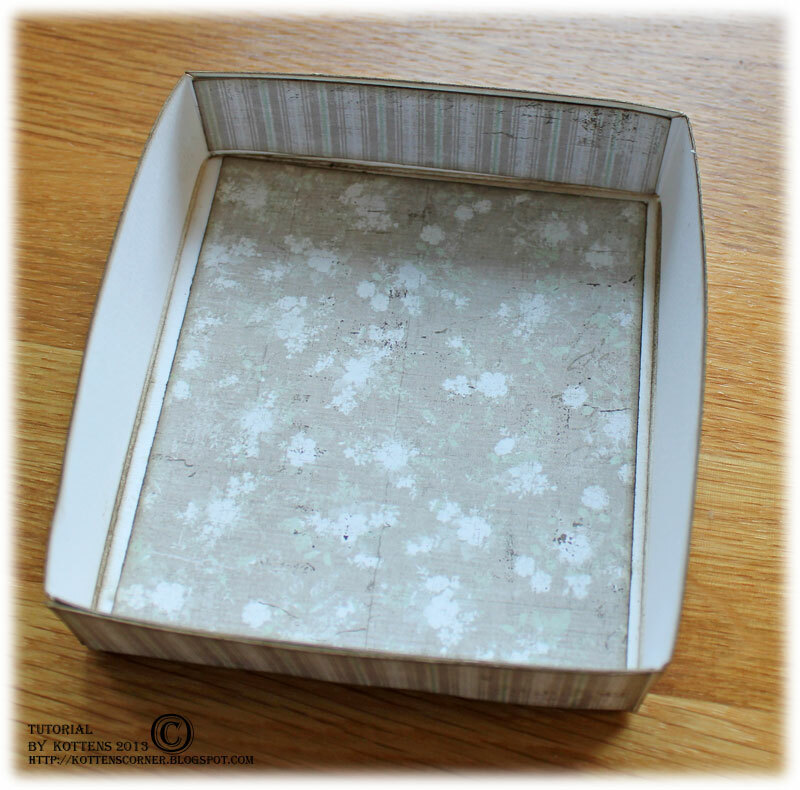 Fold the two smaller pieces by 0.5″ from each side as well and glue them into the box. You can still see the glue that hasn’t dried yet. It was getting dark and I wanted to take the photos before it got too late. Sorry for that. 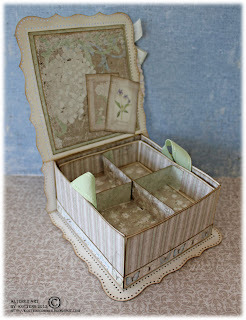 The base for the box is finished and feel free to decorate it as you wish. Fold the small box 1″ on each side, cut flaps and ink the folded edges… Basically the same thing you did with the larger box but with smaller measurements. 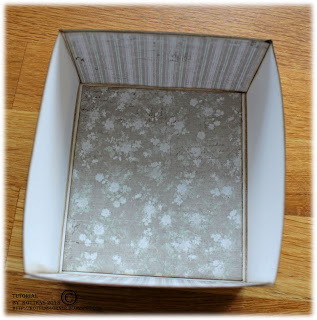 Cut out two patterned papers in size 3 3/8″ x 3 7/8″, ink the edges and glue it to each side of the bottom of your box. 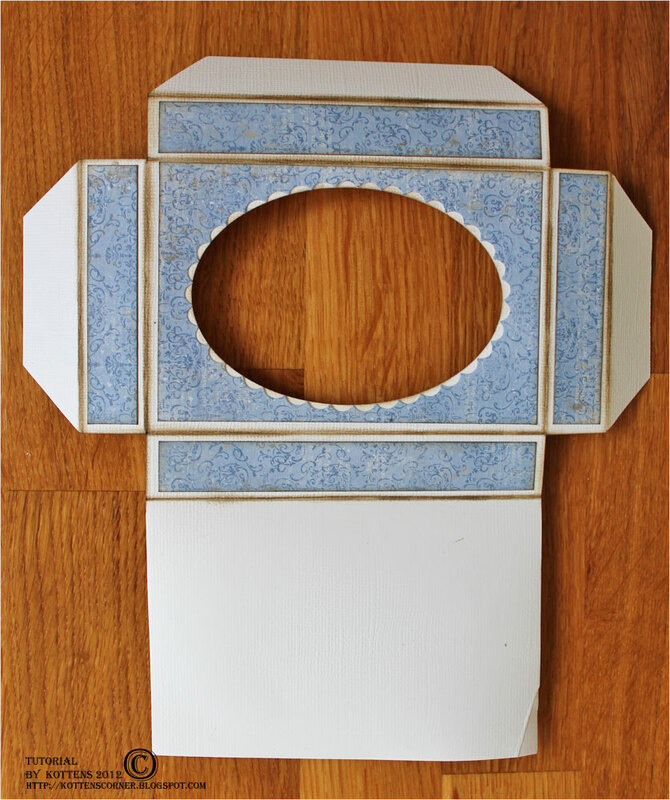 Then cut out patterned papers for the remaining walls. 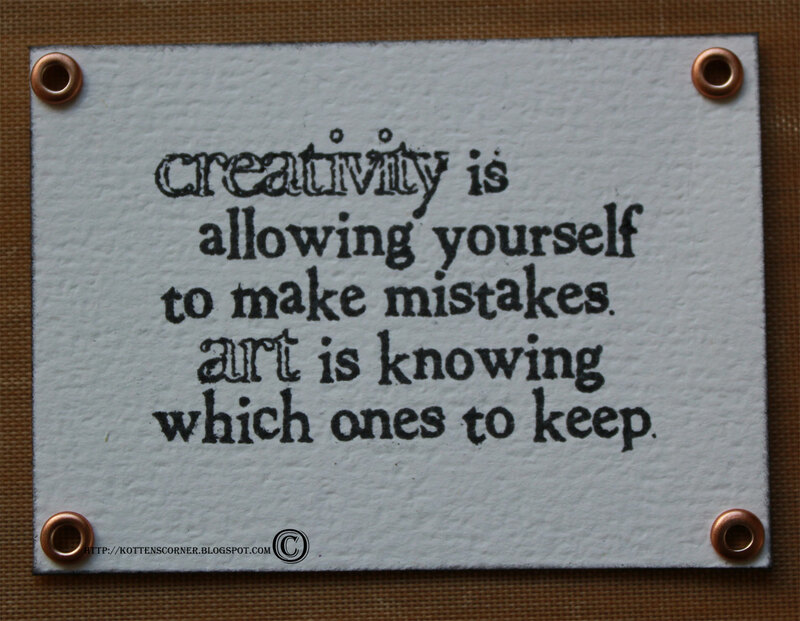 Ink them and glue the pieces on the inside. 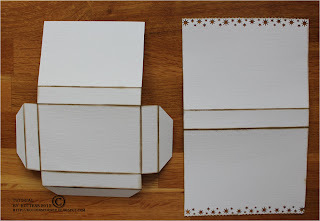 For the outside… Add some ribbon to each side of the box so you can easily lift the box with them. 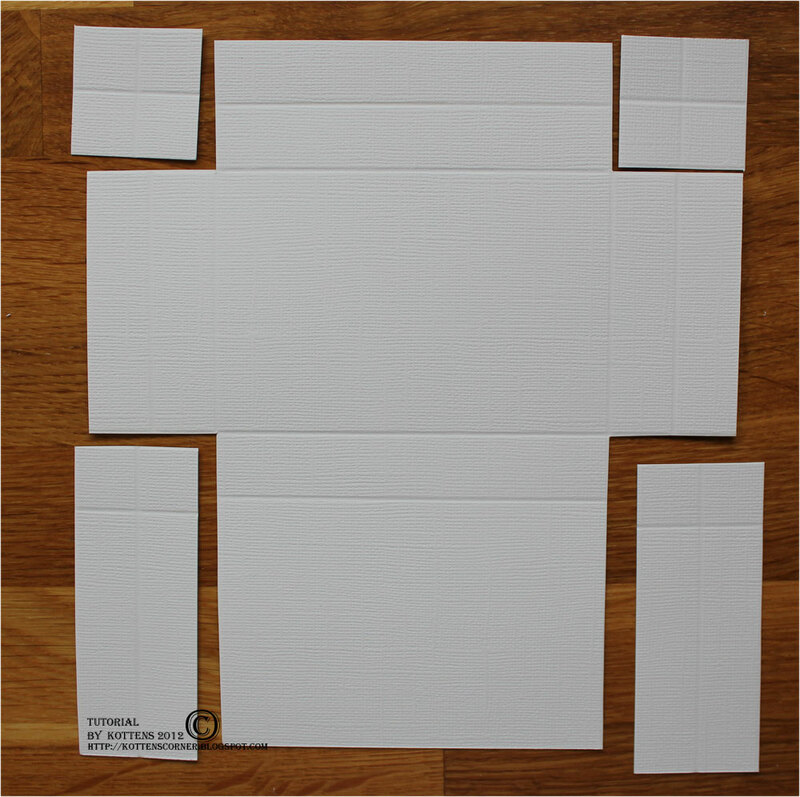 Also add the third and fourth pieces of the smaller papers on the outside of the the box. 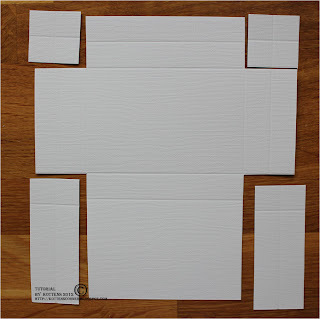 Fold all pieces by 0.5″ from each side and glue them the same way you did on the large box. Glue the large box so it fits the cover. When you’ve finished decorating you’re done! 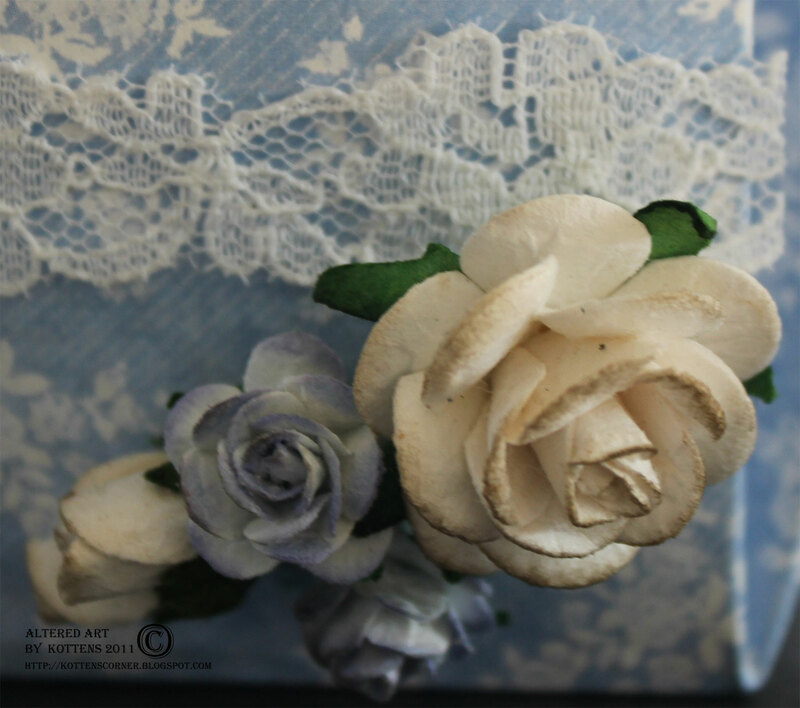 Thanks for stopping by and I hope you got inspired. 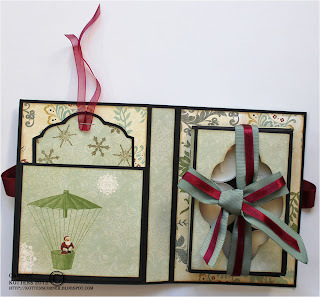 This entry was posted in Boxes, Created art, Maja Design, Tutorials on April 25, 2013 by Jenny Grotherus. I’ve promised you a tea light card tutorial for quite some time now. 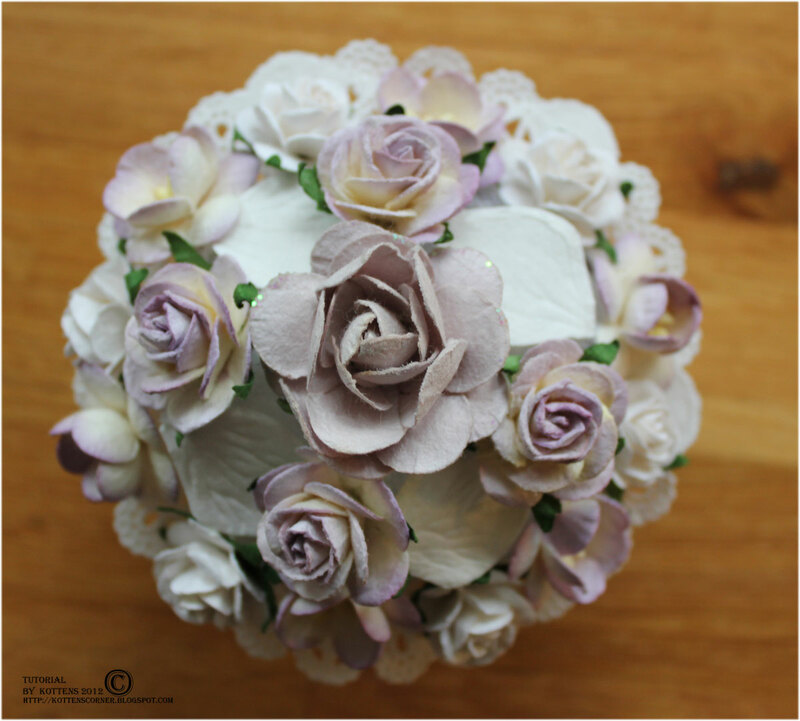 I’m sorry that I’ve kept you waiting, but here it finally is. 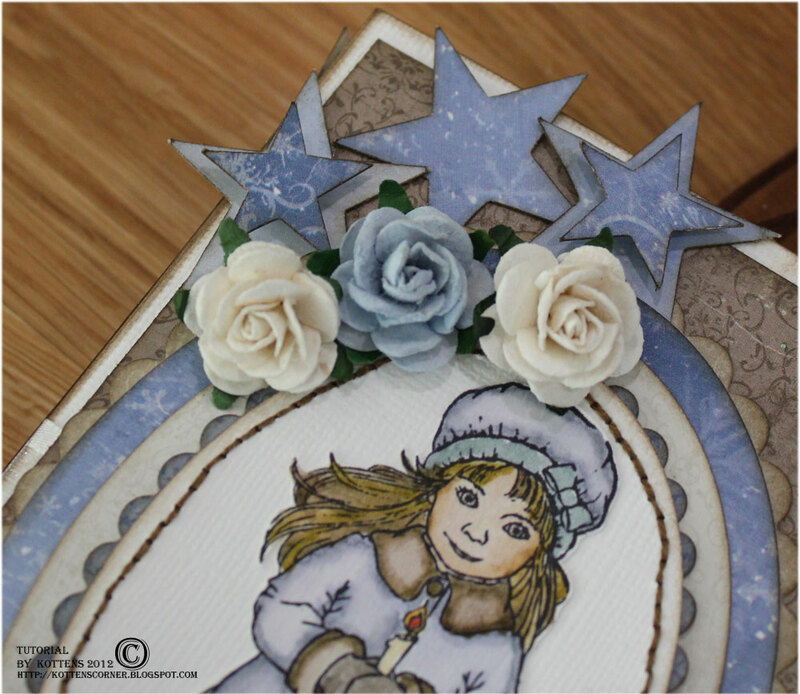 Today I’m going to give you a detailed walk through on how to make this card using the Maja Design Vintage Winter collection. 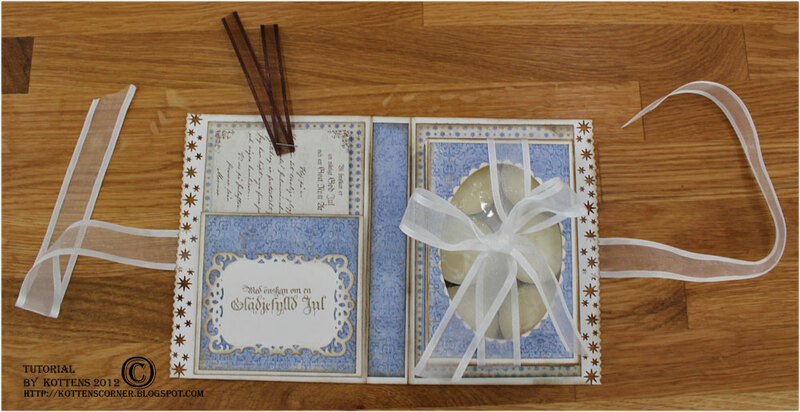 Tea light cards are really fun to make and make great gifts. 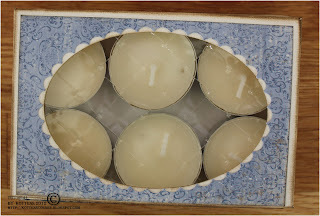 You can make them all year around and put candy in them instead of tea lights. 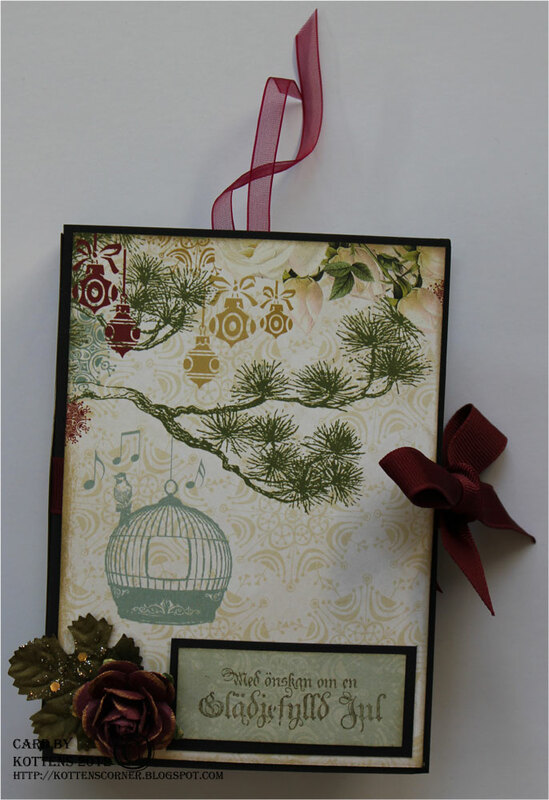 If you have a 6×6 patterned paper pad you’ll definitely have a great afternoon. 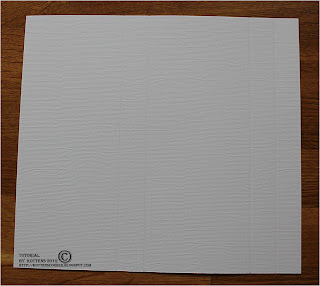 Start on the largest piece of cardstock (9 9/16 x 6) to make the cover. 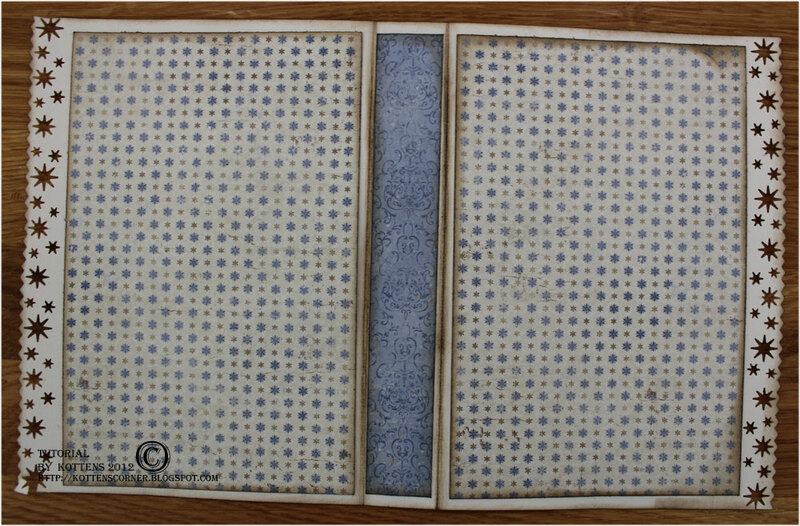 Score it by 4 5/8 (11 cm) from each side. 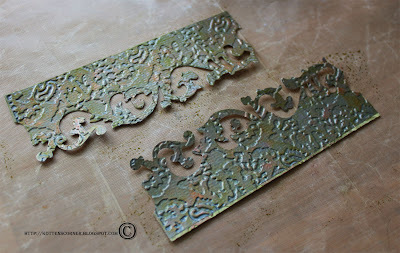 I have used an edge punch (Martha Stewart Stars) for the border. 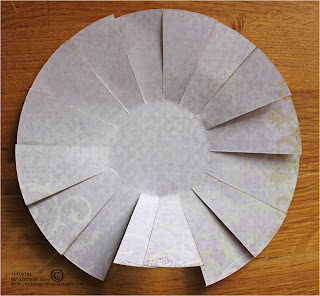 Cut away the extra paper in the corners. Distress all the visible edges. 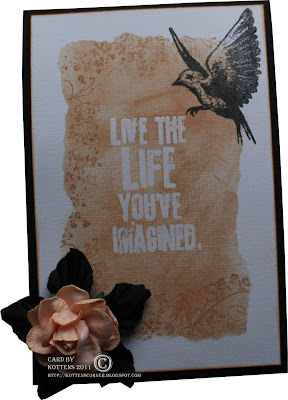 I’ve used Distress Ink Walnut Stain. 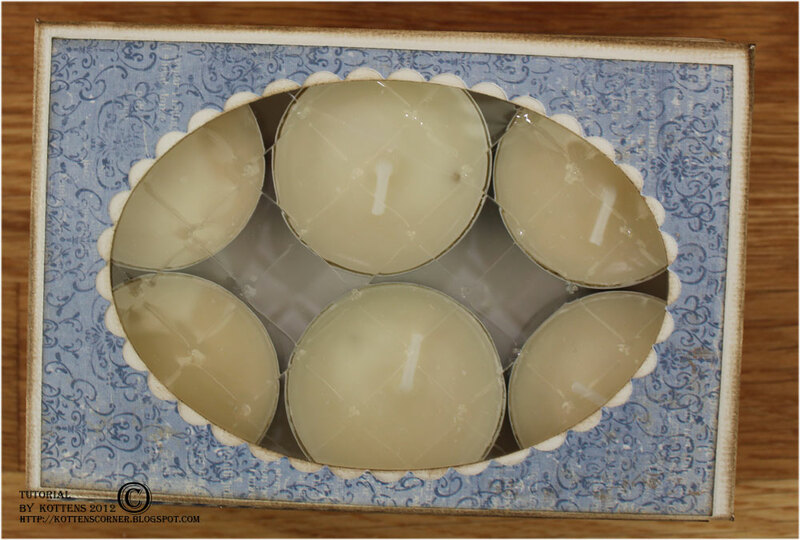 We are now going to make a hole in the box to make the tea lights visible. 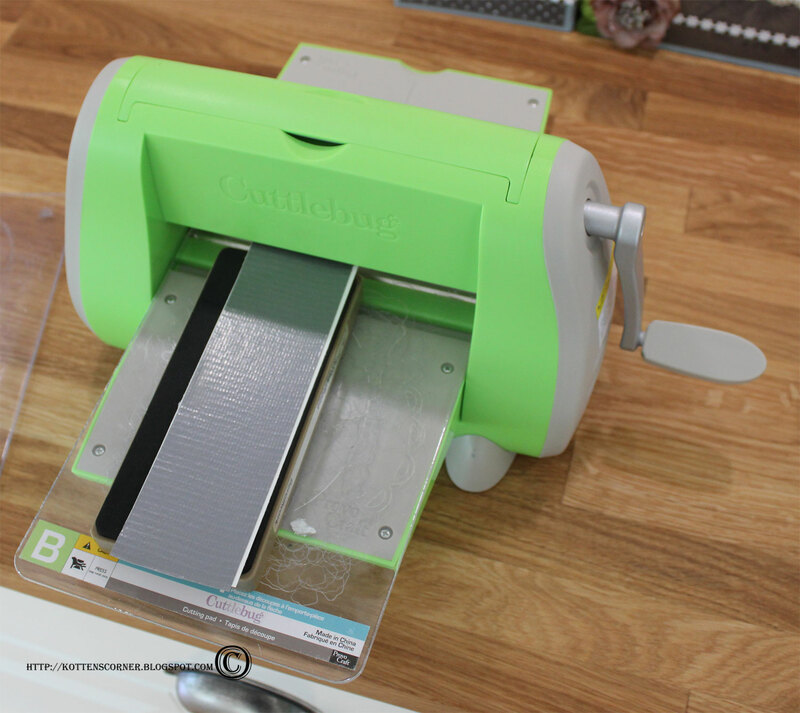 There are several ways to do this, I’m going to show how I’m doing it with my Cuttlebug. First I make a cross on the backside to get the middle of the paper where the hole will be. 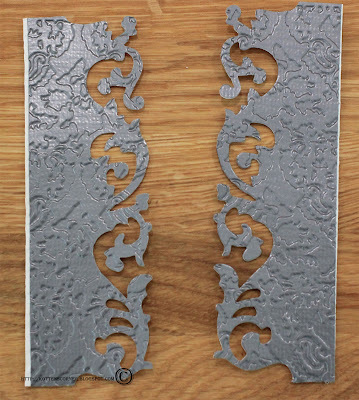 I put my Nestabililties die on the paper and fasten it with some tape. 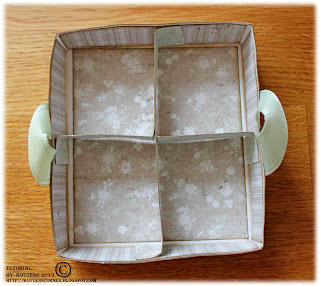 I take my A and C plate and put them upon the backside of the box. 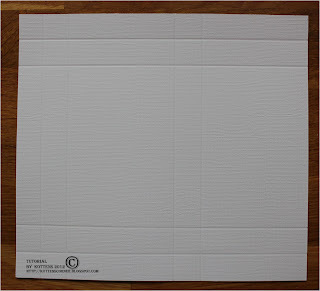 I gently fold the box over the A and C plate so I get the die visible. Then I add my B plate on top of it and run the whole package through my Cuttlebug. 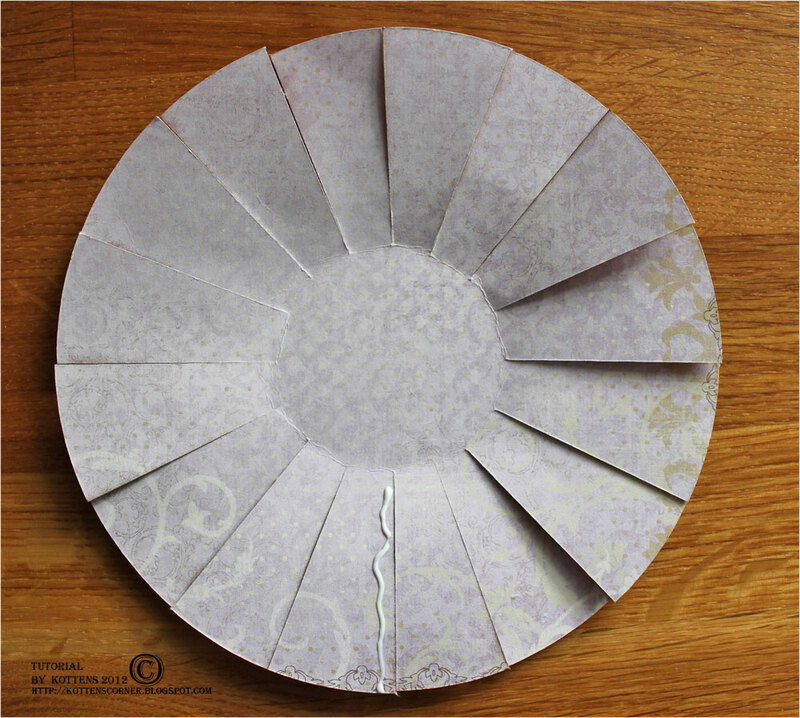 In that way I get a perfect hole, even though the paper is larger then the plates. 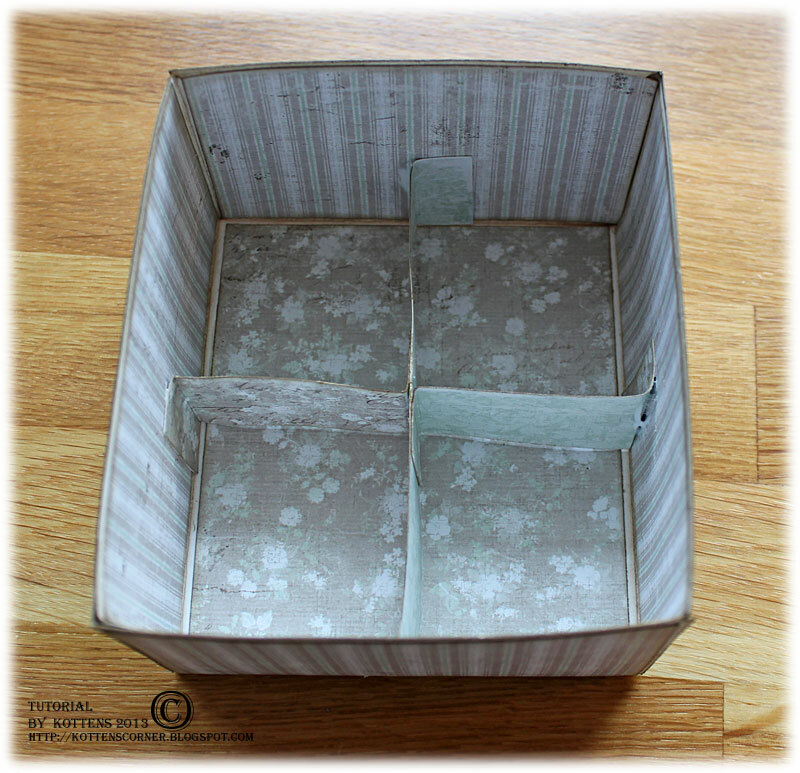 You can use a die as a template and draw on the inside of the box and then use scissors to cut out the hole if you want to. If you don’t have a die cutting machine you can use whatever shape you like as a template and draw on the inside and then cut it out with scissors as well. 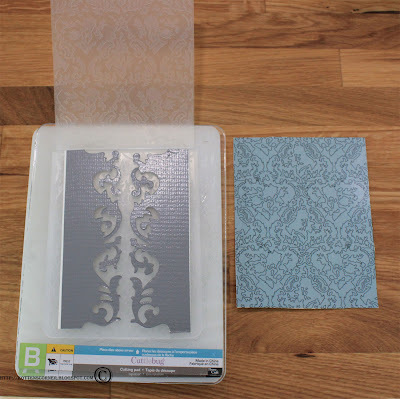 If you want to you can add the patterned paper to the box before you make the cutting and get a perfect hole in that too. 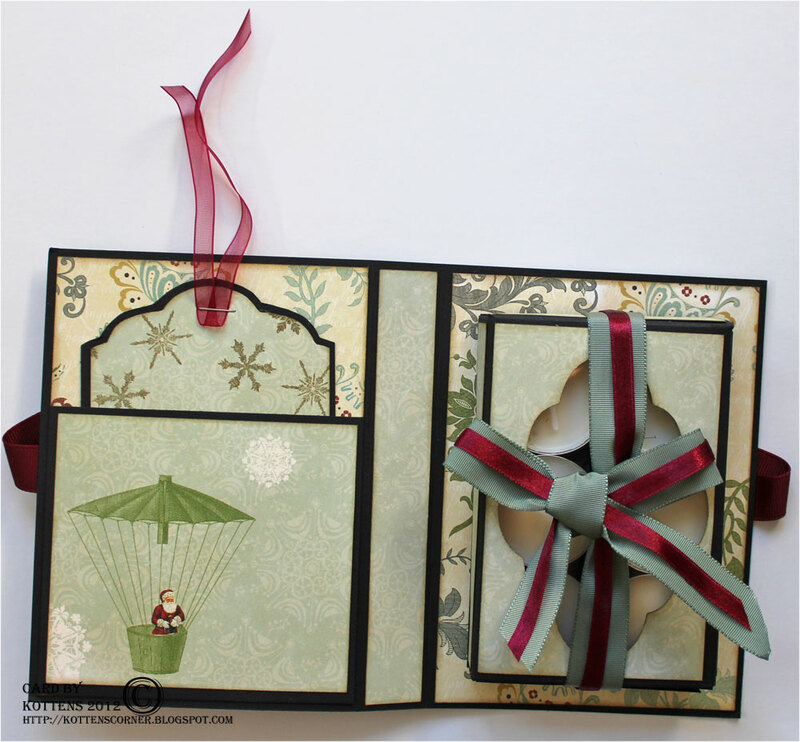 I prefer to make the cardstock a bit visible and therefor use two different dies for the hole. 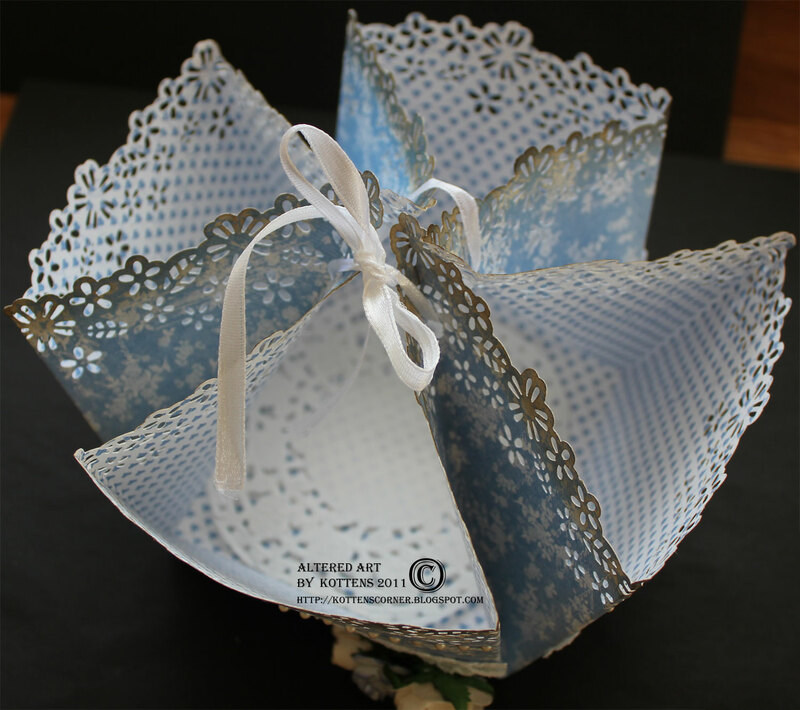 One oval for the cardstock and one scalloped oval for the patterned paper. 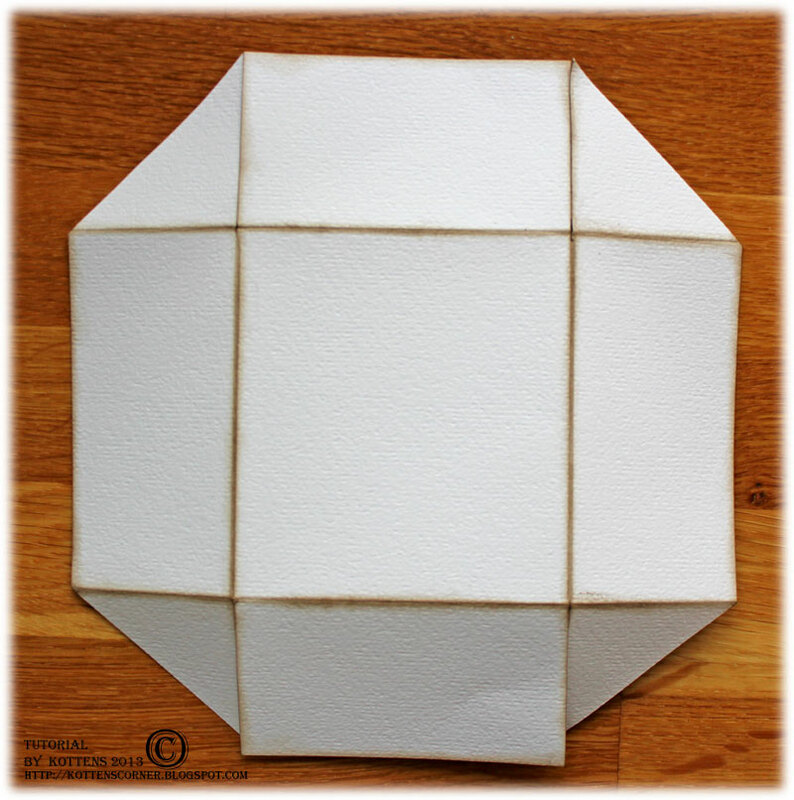 You can fit them all into one piece of 6×6 patterned paper. Add a piece of 3×4.5 overhead paper on the inside of the box to make a window.This will prevent the tea lights from falling out. You can also use at gelatine leaf, it’s a bit more decorative. Tip! Don’t throw away the cut out pieces from the window. They make an excellent decoration on the cover. 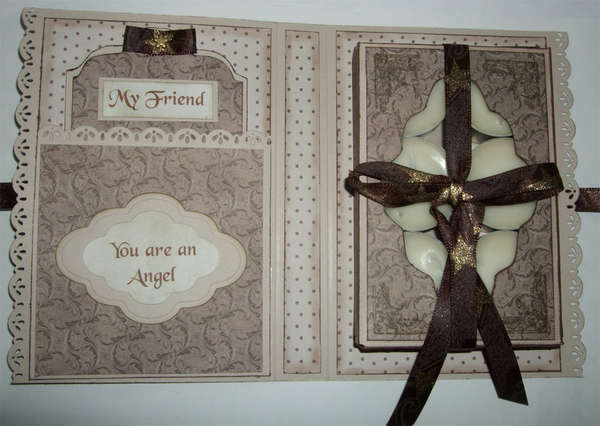 I’ve used them on the cover on this particular tea light card. 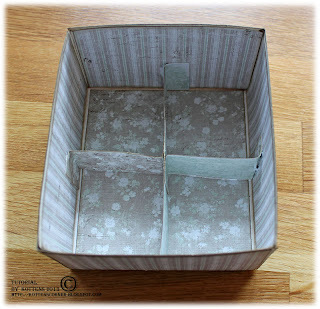 Glue the long side of the flap so you can fold it to a box with two openings. 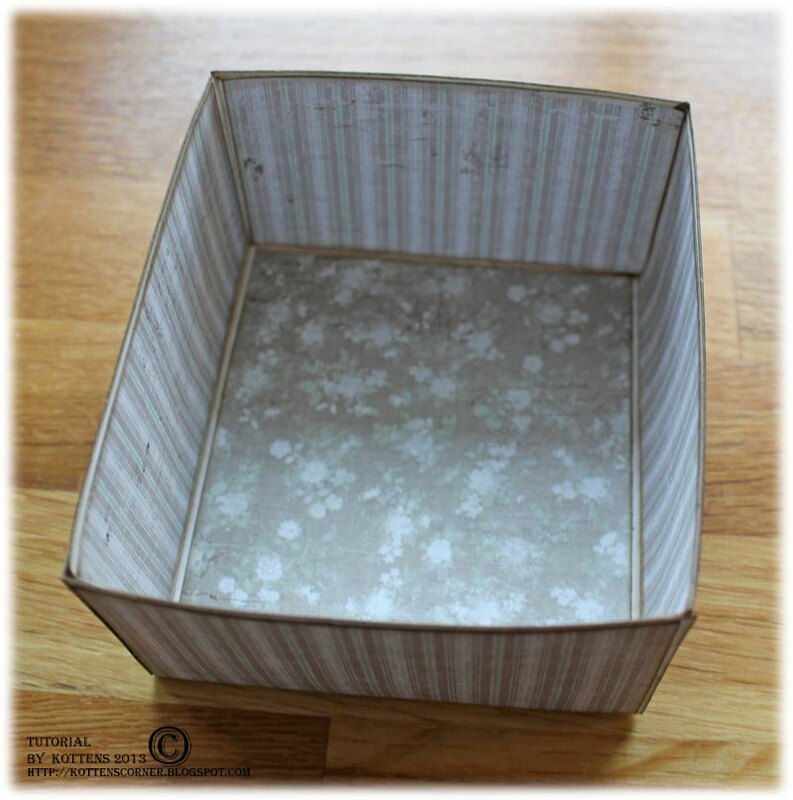 Now it’s time to fix the inside and cover of the box. 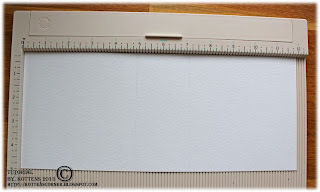 The sizes of the patterned papers depends on what kind of punch you’ve used, or if you’ve used any at all. The sizes that I’ve used are based on the Martha Stewart Stars punch. 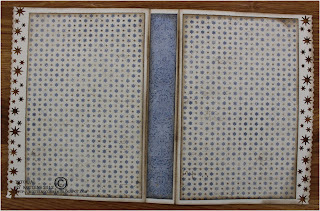 2 pieces of 3 5/8 x 5 5/8 (9,2 x14,3 cm). 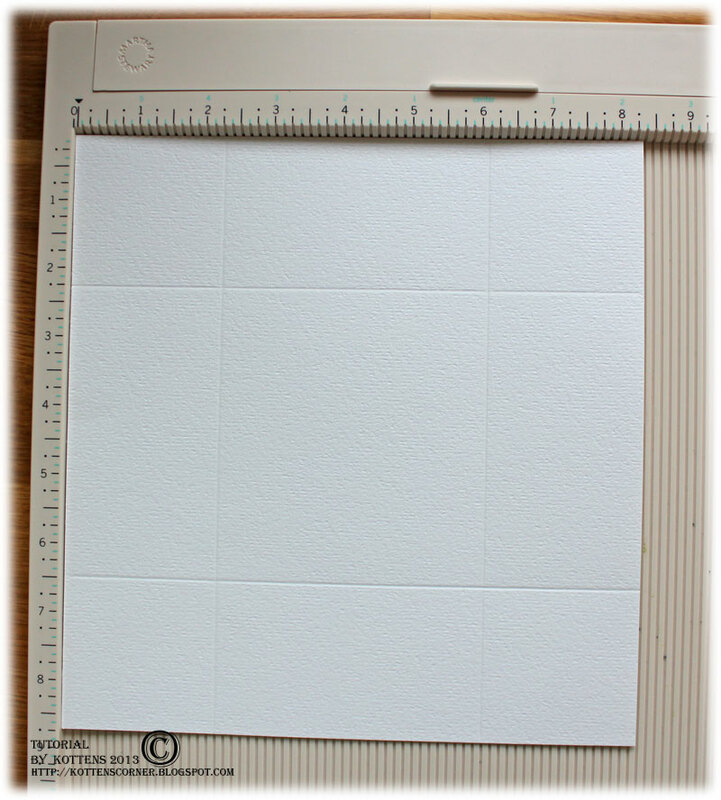 4 1/8 x 5 5/8 (10,5 x 14,3 cm) if you haven’t used an edge punch. 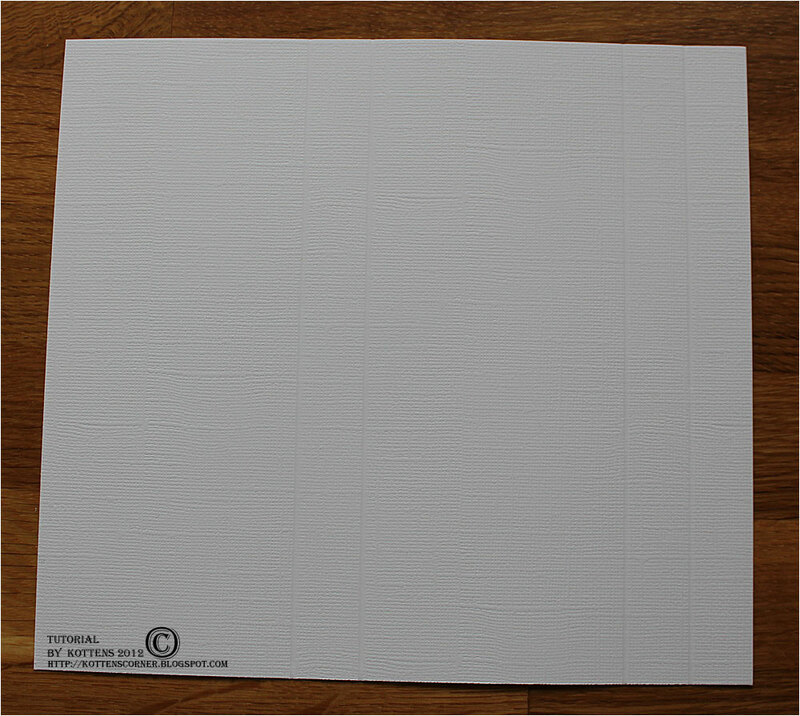 Some paper for the tag. 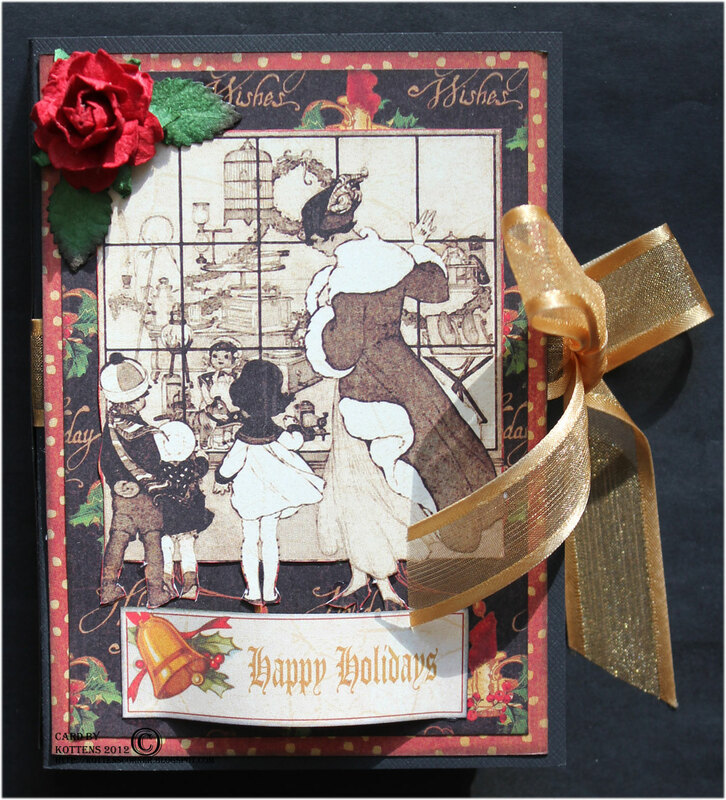 I have cut out one of the postcards from the 12×12 die cut sheet (Vintage Winter collection). 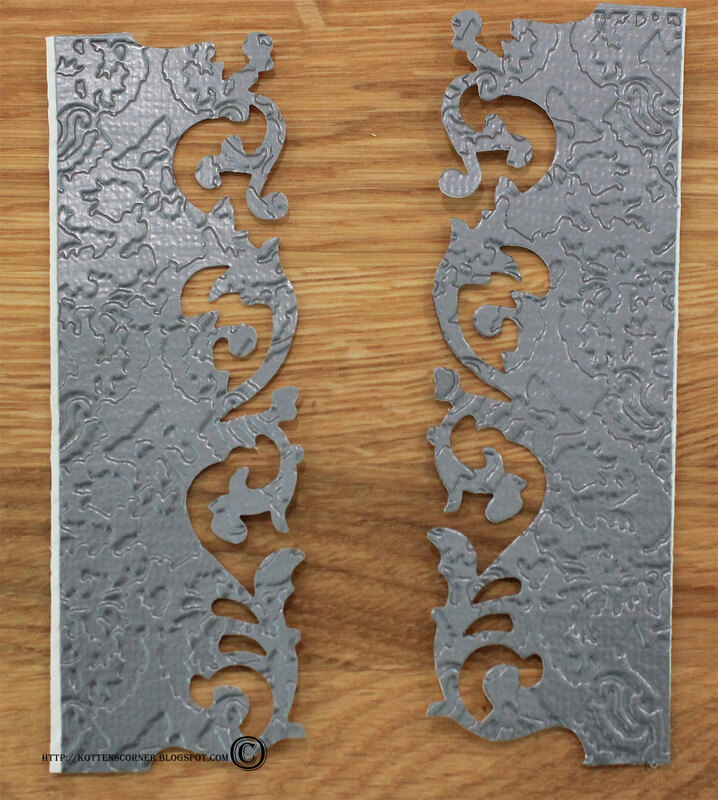 2 pieces of 3 5/8 x 5 5/8 (9,2 x14,3 cm) 4 1/8 x 5 5/8 (10,5 x 14,3 cm) if you haven’t used an edge punch. 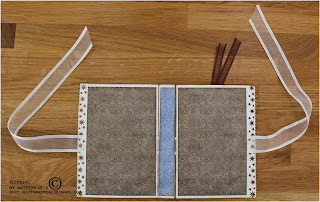 Attach a ribbon (I used about 0,8 yd or 75 cm) before gluing the patterned papers. Now it’s time to attach the box. 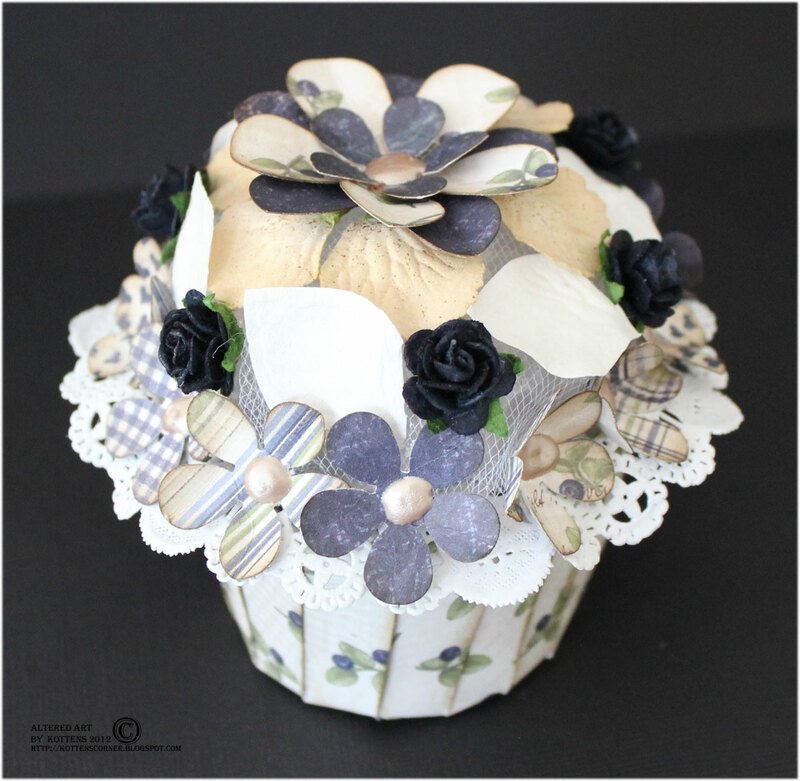 I recommend that you use a strong glue for this since it is quite heavy. 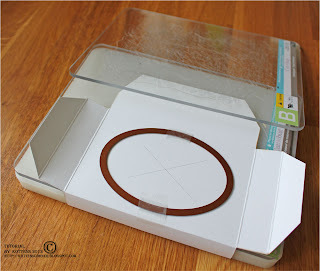 I’ve used the same amount of ribbon that I put under the box before gluing it. I’ve used 3D foam for the stars to get a more dimensional effect. 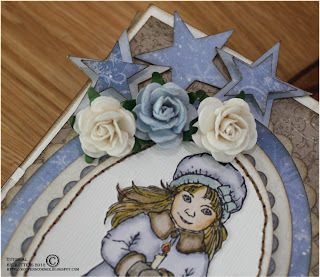 Stars have been cut out from the 6×6 Vintage Winter pad. 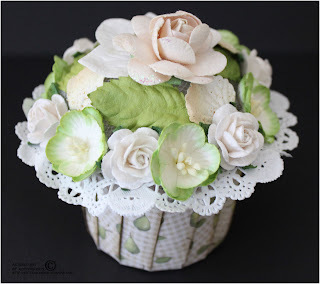 All flowers by Wild Orchid Crafts. 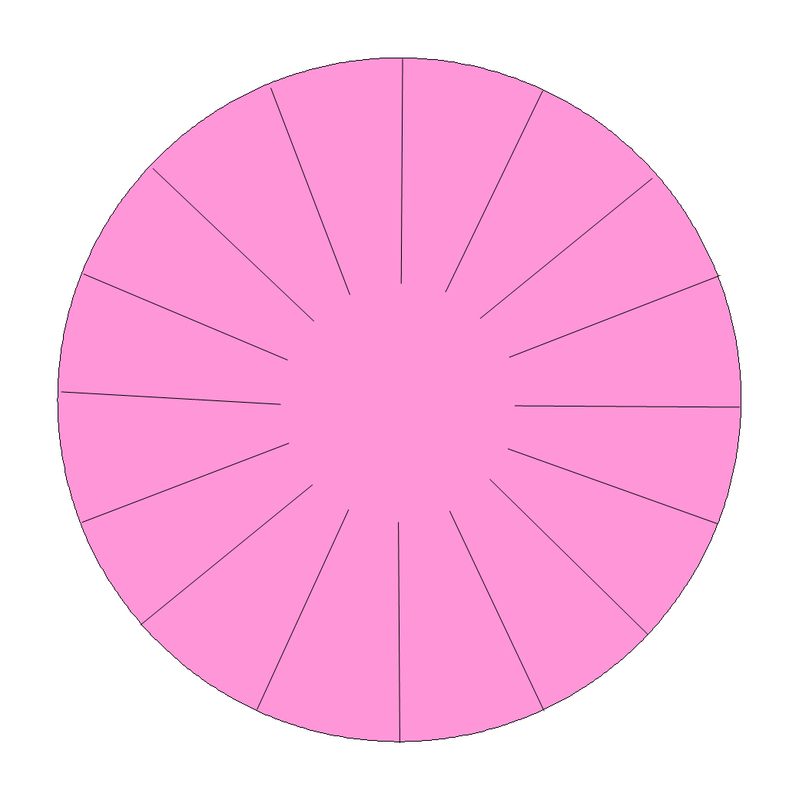 All ovals are Nestabilities dies. This entry was posted in Cards, Maja Design, Tutorials on October 28, 2012 by Jenny Grotherus. 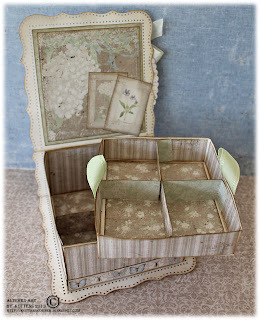 I used the Fika collection by Maja Design. 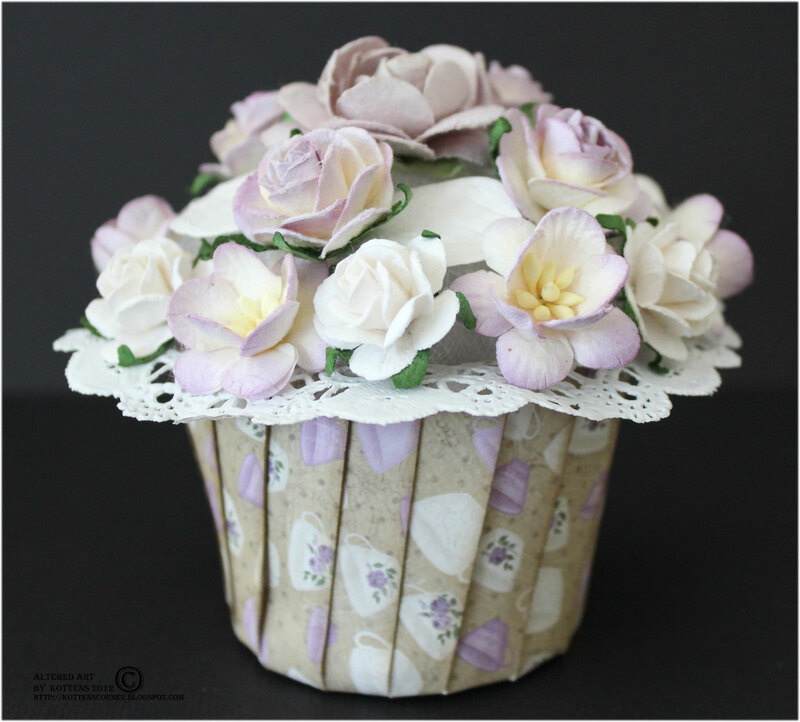 I made them in five different colours- brown (muffins), green (pears), blue (blueberries), dark purple (blackberries) and lilac (tea cups). 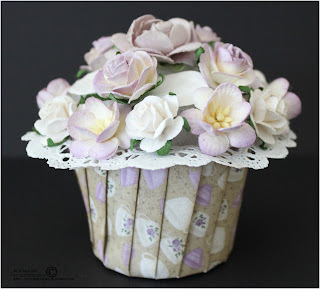 So here’s a little tutorial on how to make these cupcakes. Isn’t it a shame to hide such beautiful paper on the inside? Fold the flap so the flap to the right overlaps it. Continue with the following flaps until you have glued the entire cup together. 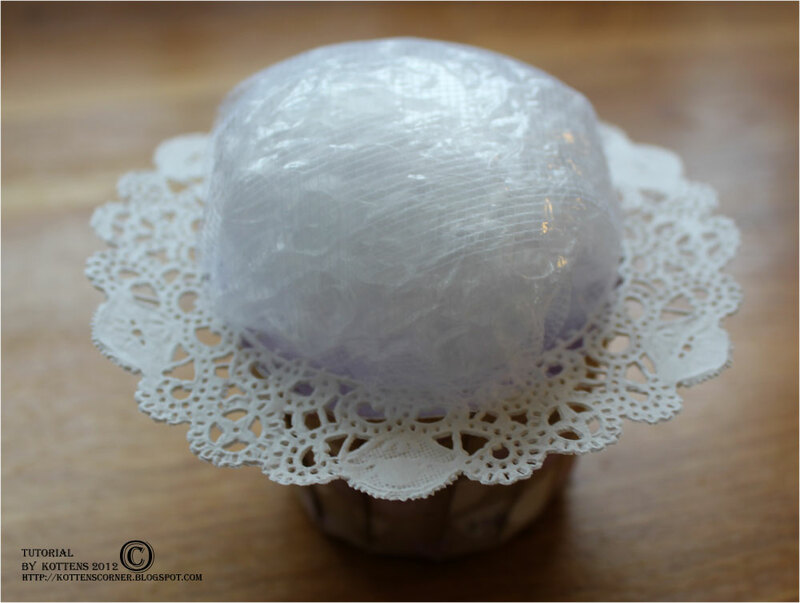 Create a ball out of tulle and newspaper, bubble wrap or whatever you have at hand. Cut out the middle of a 4″ doily and glue it on the cup. Attach the ball. 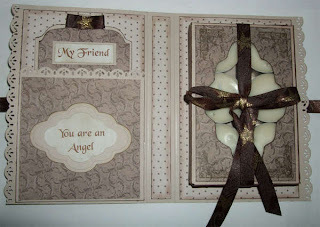 This entry was posted in Created art, Maja Design, Tutorials on September 28, 2012 by Jenny Grotherus. 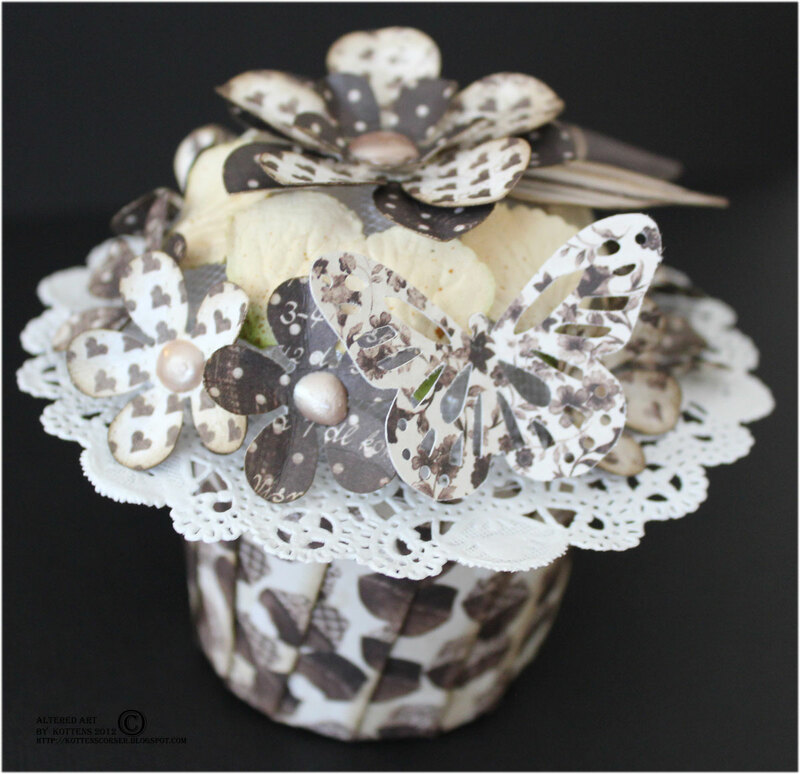 This is a giftbox that you can do in notime and fill up with candy, flowers etc. I used a paper from Maja Design´s Life in the Country collection, some ribbon and lace, a couple of flowers from Wild Orchid Crafts, a Punch Around the Page set from Martha Stewart, Walnut Stain Distress Ink, Pearl Maker Cream, cake paper and some die cut butterflies. 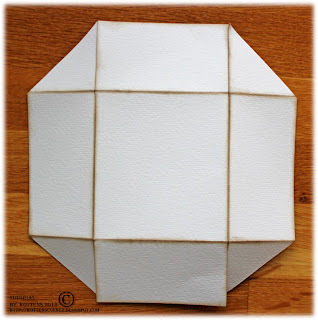 Use a two sided 12×12 patterned paper and fold it by 4″ all around. 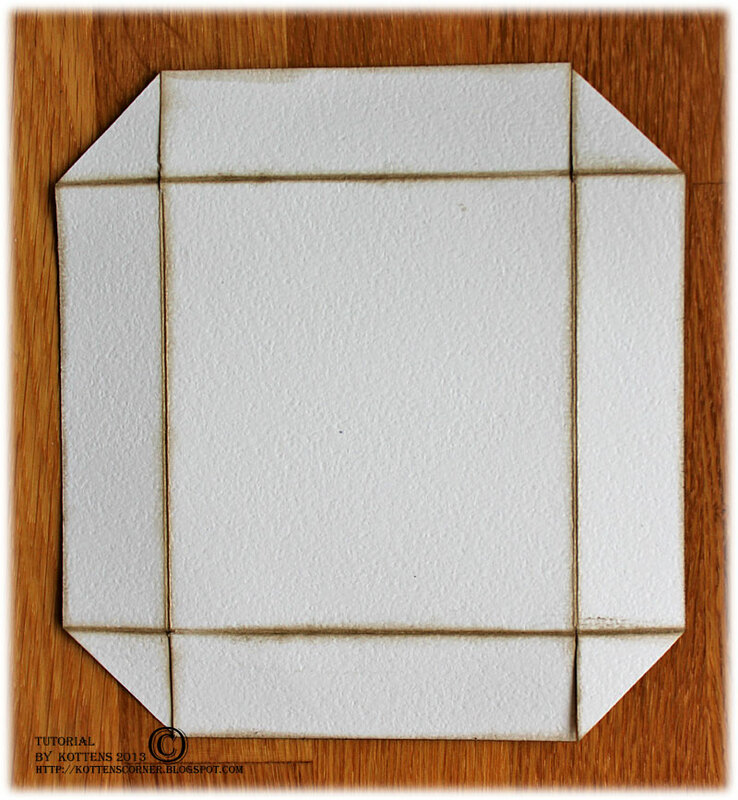 Fold it from the four corners until you get to the inner square. 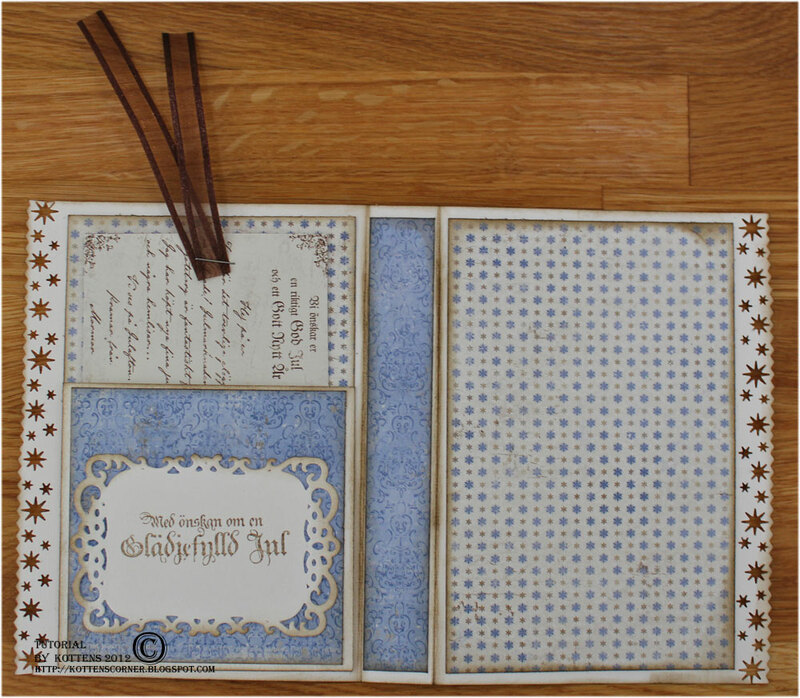 Use a Punch Around the Page set and make a hole in each corner with a Cropadile or similar. Use some ribbon to tighten it together. 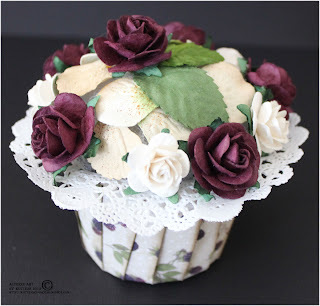 Decorate it and you are done! 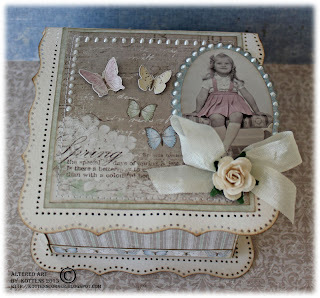 This entry was posted in Created art, Maja Design, Tutorials on June 25, 2011 by Jenny Grotherus. 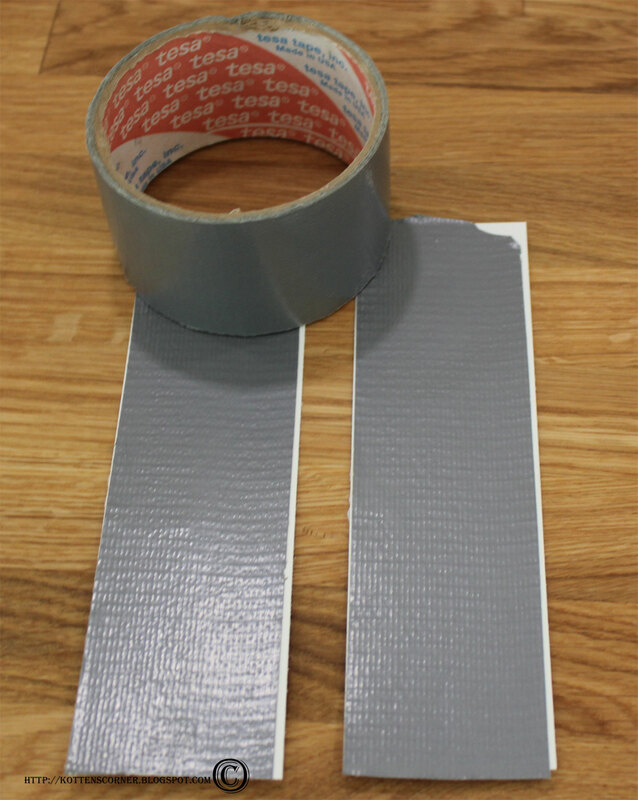 So here´s a little tutorial on how I made the inspirational duct tape card for the tape challenge at The Flying Unicorn. 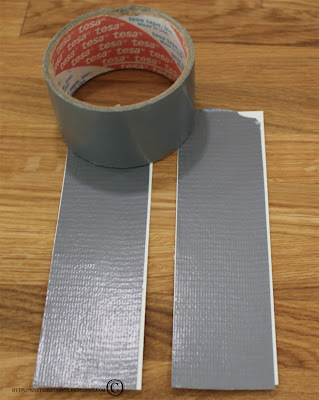 I used a 2 inch wide duct tape that I taped on two pieces of aquarelle paper (2×6). I ran the two pieces through my Cuttlebug, using the Scrollwork die from Tim Holtz. 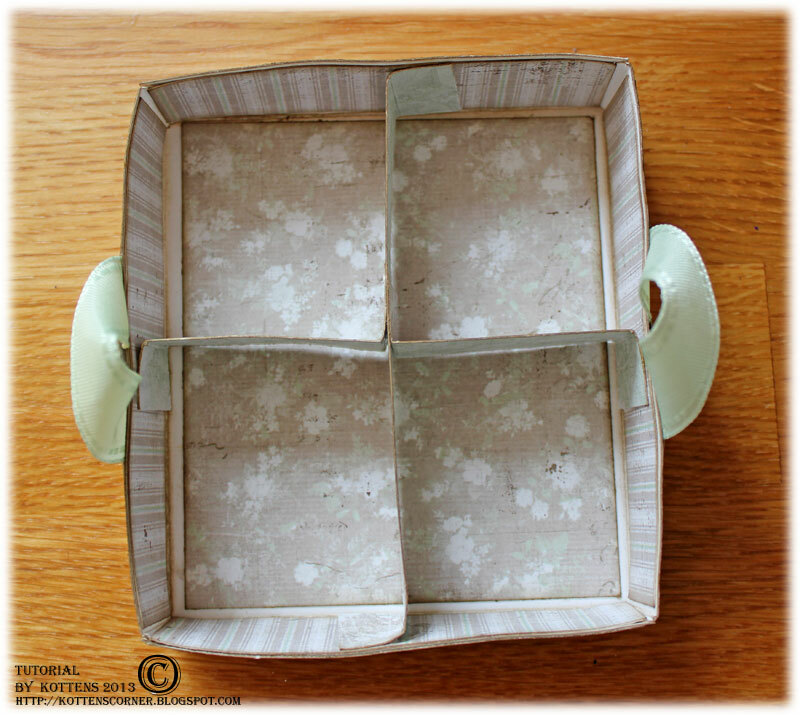 Make sure you get the two patterns opposite each other. 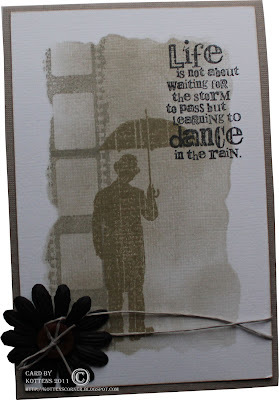 Then I ran them through an embossing folder (Sizzix texture fades collection). Now it´s time to bring out the mess! 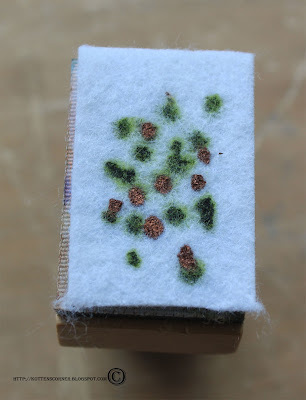 I´ve chosen to use alcohol ink Lettuce and Copper mixative. 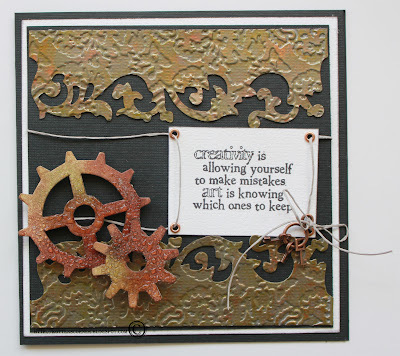 Add some colour to the alcohol ink applicator. Note. 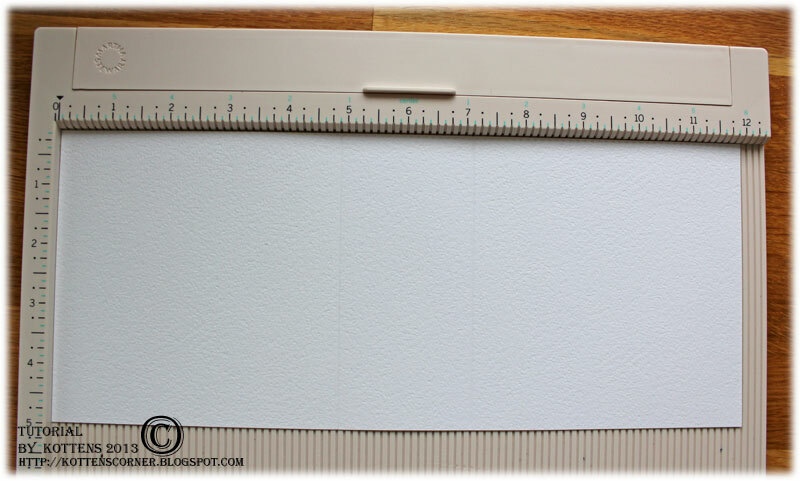 This is NOT the same as an ink blending tool. 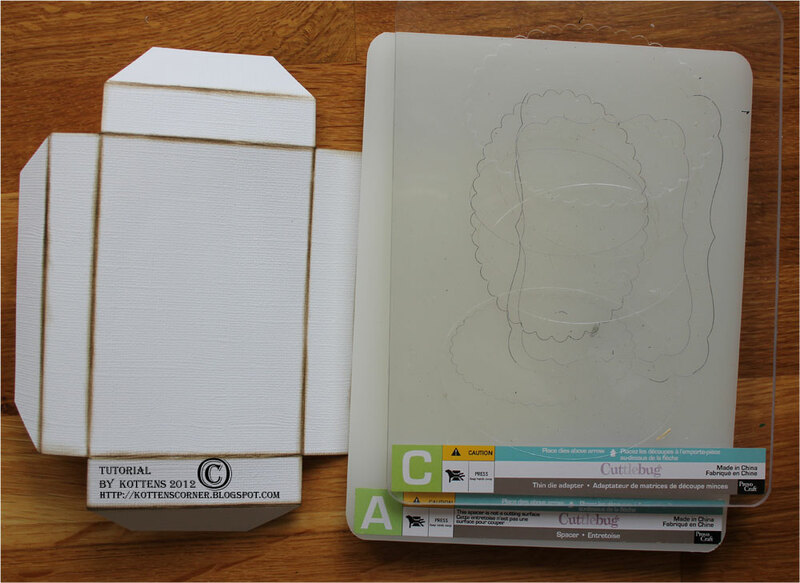 The tool itself is the same, but the ink applicator uses felt while the ink blending tool uses foam. Shake your mixative well and add some mixative to the applicator. 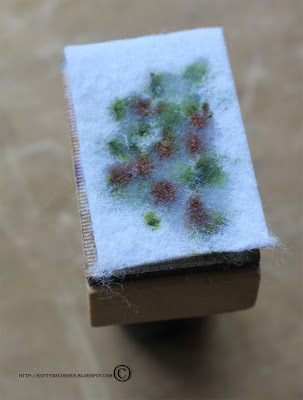 Then add some ink blending solution and start apply the colours to the die. 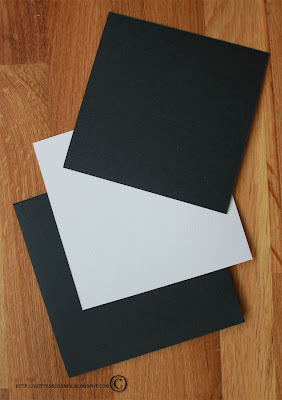 Cut three pieces of paper, one black 6×12 (fold into 6×6), one white 5.75×5.75 and one black 5.5×5.5. 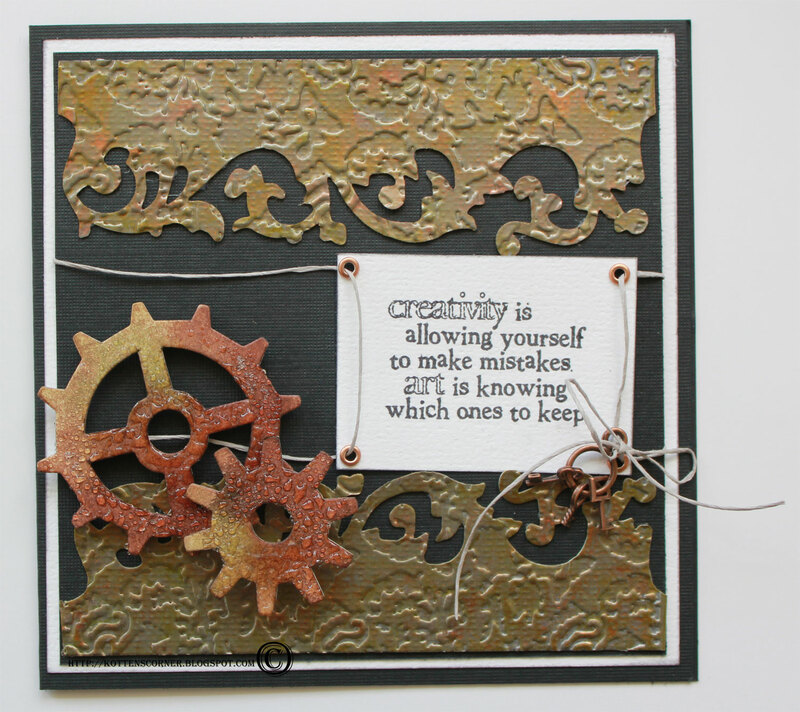 I stamped a little cocky text with a Tim Holtz stamp and added copper eyelets in the corners. 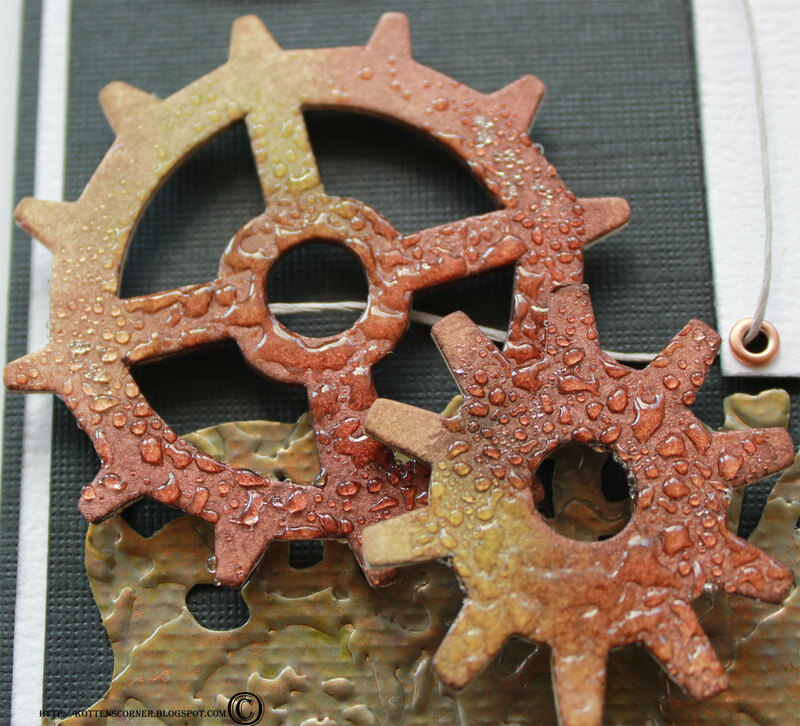 Spray Glimmer Mist English Ivy on parts of the wheels and the rest of it with Glimmer Mist Coffee Shop. 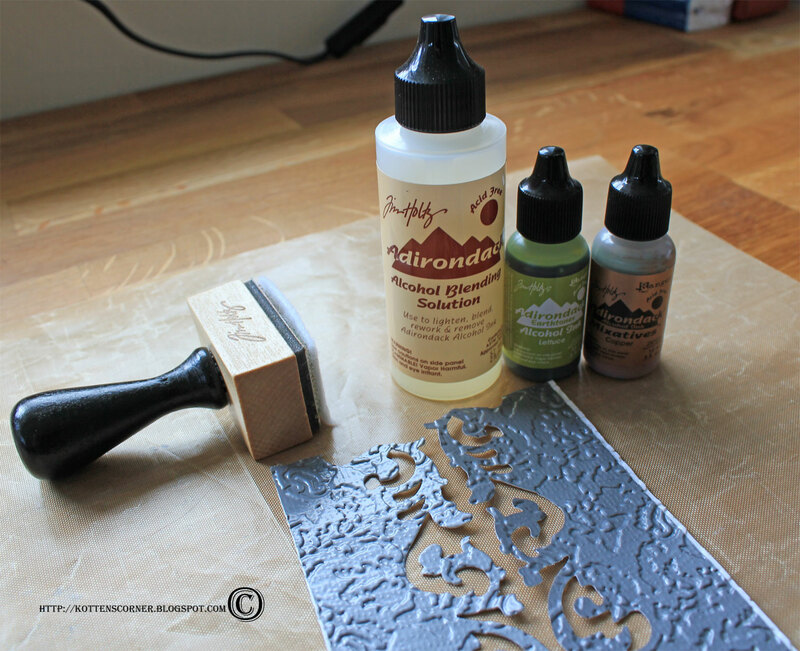 Add clear Utee powder while it´s still wet and heat with an embossing tool. 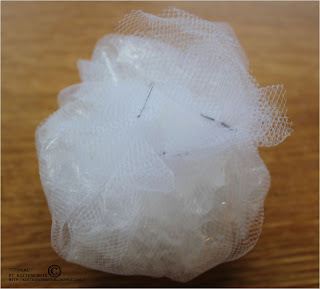 I made mine “roll” away from the heat on purpose to make it look like they are wet. 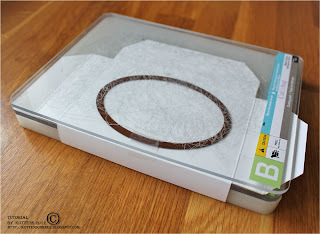 I didn´t want the powder to look like regular embossing powder. 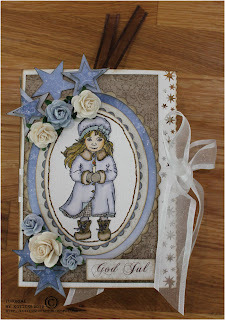 This entry was posted in Cards, Tutorials on June 1, 2011 by Jenny Grotherus. 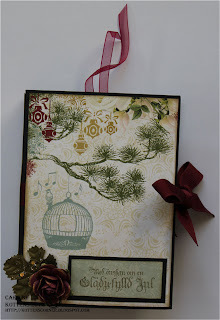 I played around with distress ink and some of my Tim Holtz stamps this weekend. 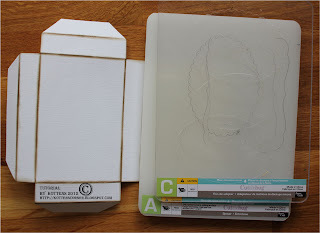 I used a piece of white cardstock (5 3/4 x 3 3/8) and a printer paper in the same size. 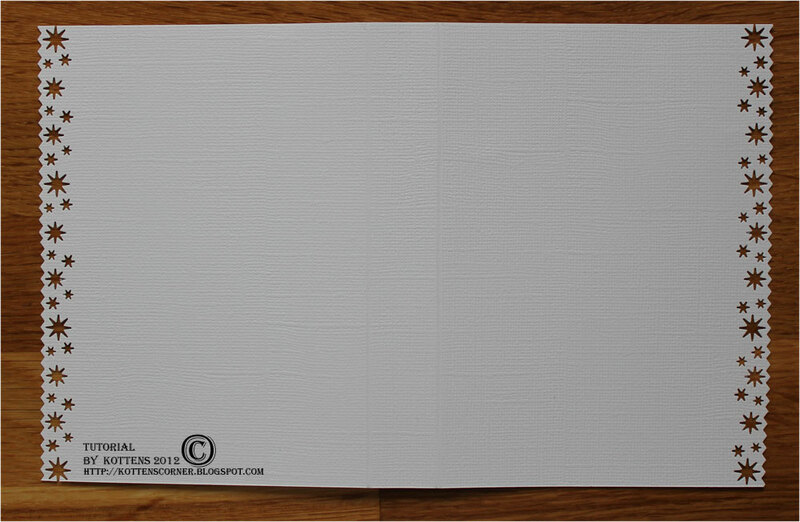 I tore out the middle of the printer paper and placed it on top of the cardstock. I inked it with an ink blending tool, using Pumice Stone. I stamped a filmstrip on the side (same colour) and removed the printer paper. 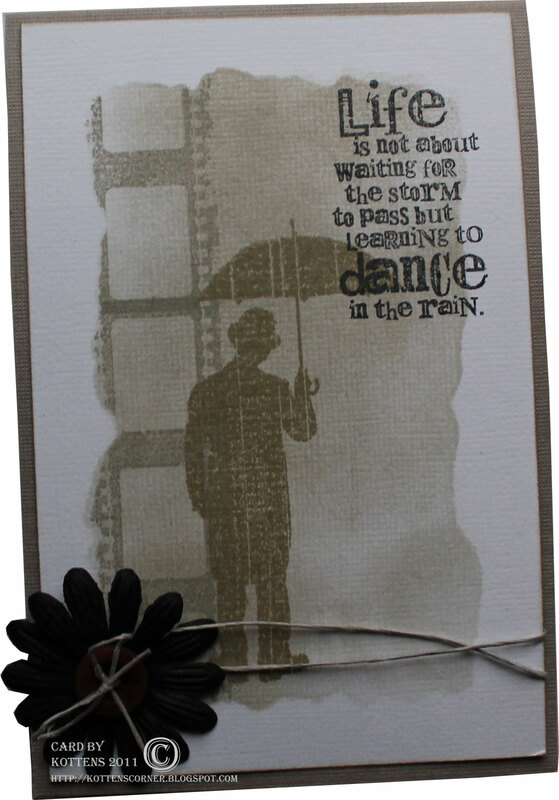 I stamped the man with the umbrella (Frayed Burlap) and the text (Black Soot). Here´s another one, same technique. 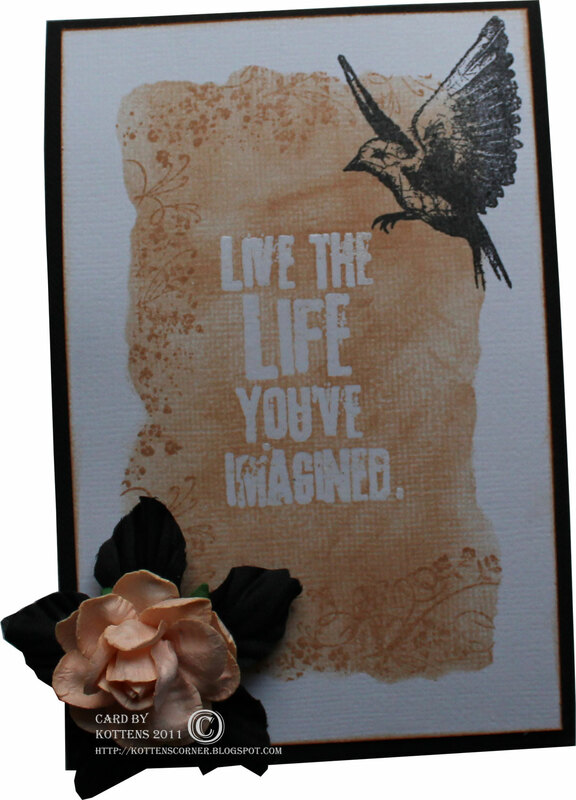 I stamped the text with a watermark ink pad and embossed it with clear embossing powder before inking the background with Tea Dye. 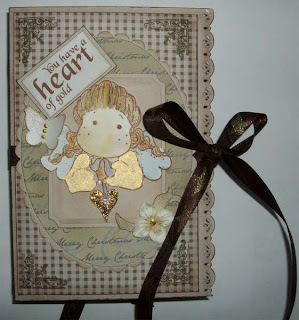 This entry was posted in Cards, Tutorials on March 22, 2011 by Jenny Grotherus. 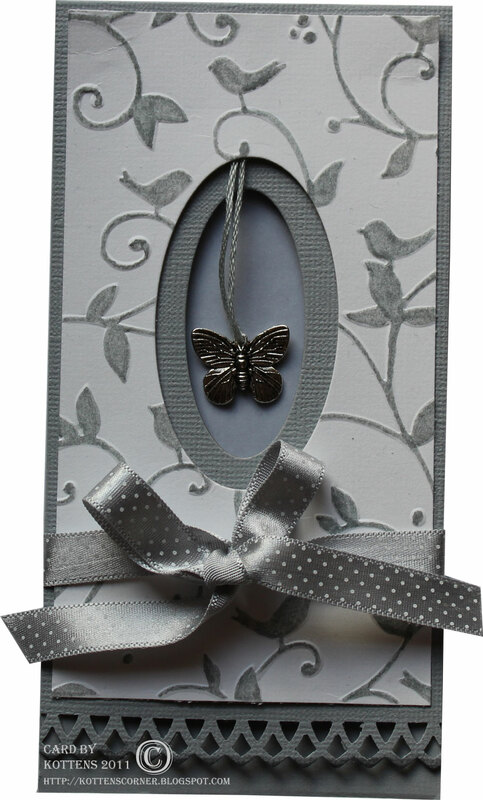 Here´s another one of my quick cards. 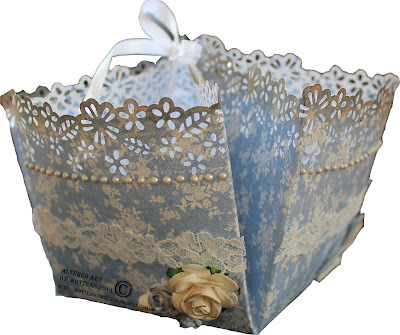 You can vary it until eternity, different colours, patterns, charms… Very useful, all year around. I will not call it a five minute card this time, I´ve had to take that back to many times. The grey piece of cardstock is 3×12, very practical since you can create four cards out of one cardstock. 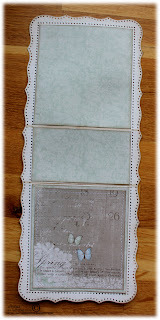 I folded it in the middle and used the Arch Lattice edge punch from Martha Stewart to create the border. I distressed it with Black Soot. 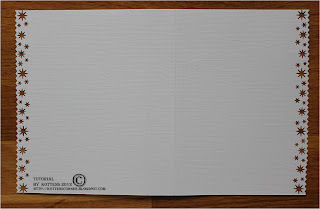 I took a piece of white cardstock (2 3/4 x 5 1/4) and ran it through an embossing folder. I colourized the pattern with a Zig pen (Platinum), I guess you can use Copic or whatever you´ve got. I used the second smallest of the Nestabilities Petite Ovals Small to get the oval window in the patterned paper. 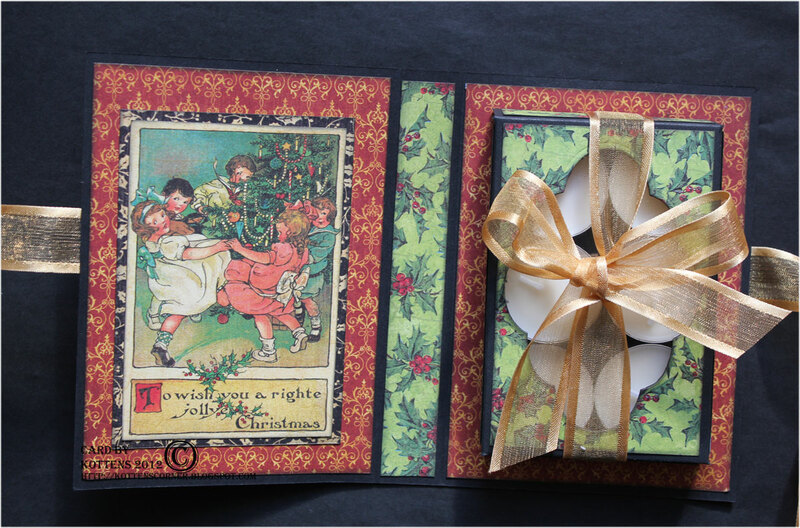 I attached it to the cardstock and then used the smallest oval to get the second window in the cardstock. I added some vellum paper inside the card to get another shade of grey in the window. 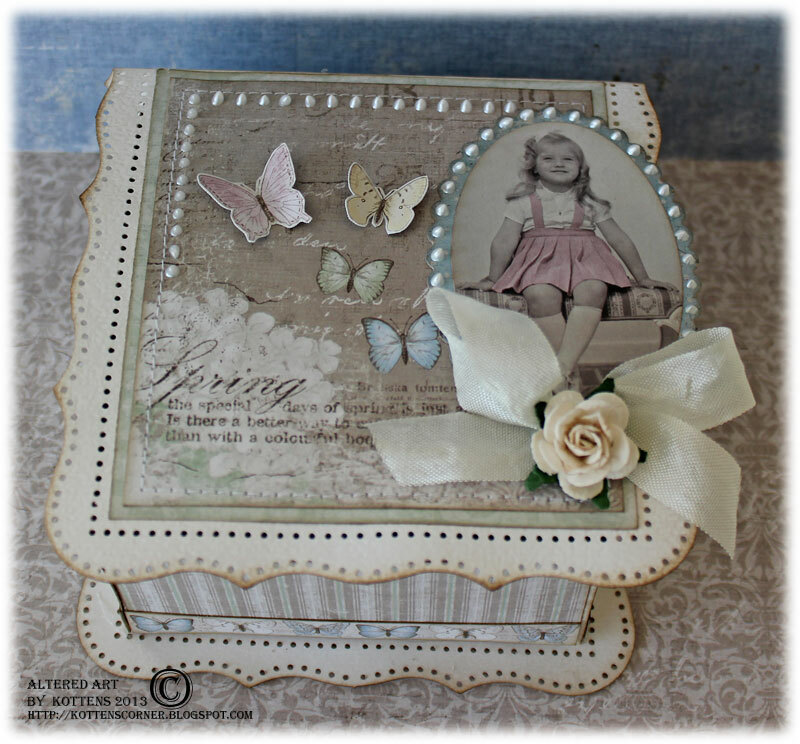 I attached the butterfly and the ribbon. Done! 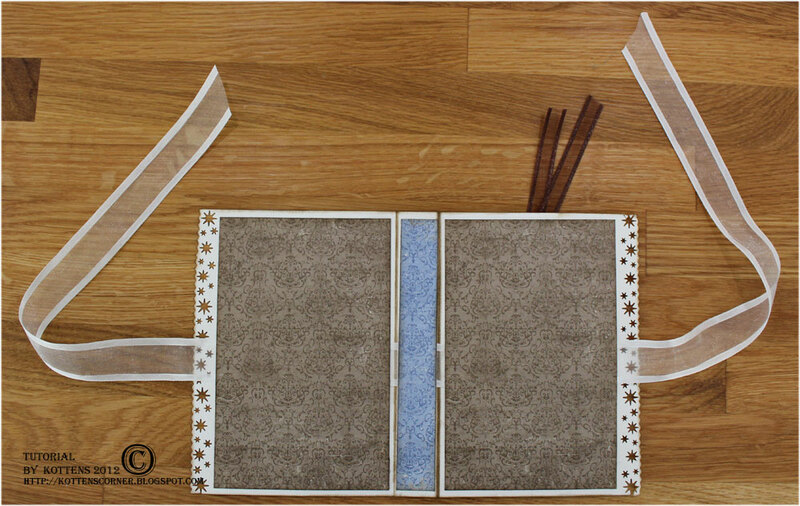 To be honest I´m quite eager to create tons of this card to get rid of some of my far to many ribbons. This entry was posted in Cards, Tutorials on February 22, 2011 by Jenny Grotherus.